The current version of the Amazon Echo. Amazon is reportedly getting ready to expand the Echo Speaker family, with plans to debut a new, smaller, cheaper, and portable version of the voice-activated device in a few weeks. 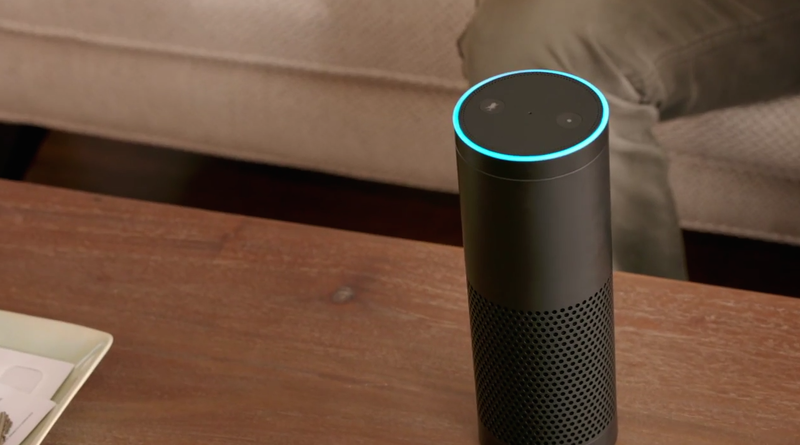 Amazon is expected to release the new version of its tabletop speaker soon, according to sources cited by The Wall Street Journal. The current speaker rests on a tabletop and has to be plugged into an outlet. Beyond playing your favorite tunes, the Echo acts as a voice-activated assistant, making shopping lists and answering questions when asked. This new version — code named Fox — is designed to fit in the palm of a user’s hand, sort of like a beer or soda can, and is expected to sell for less than the $180 price of the current model. It can also be charged on a docking station instead of having to stay plugged in. To preserve battery life, you’ll have to turn on the voice-command function with a button. Any other details or photos will have to wait, as Amazon is staying mum on the WSJ’s report thus far.